The longer I work in cinema, the more convinced I am that this domain of art is not ruled by any laws. I do not even attempt to find them… Everything is possible. These inspirational words are ascribed to one of cinema’s most unique artists of all time. 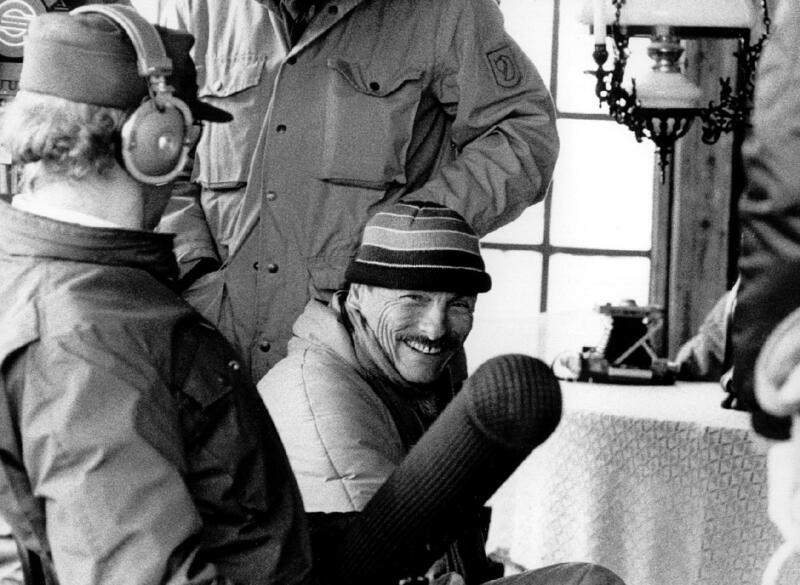 The Russian filmmaking poet Andrei Tarkovsky, whose work is cherished in every cinema-loving corner of the globe, is a man whose contribution to the art and the mark he left on the world of film remain immeasurable, indisputable and unforgettable. Terminal lung cancer ended his journey at the age of only 54, putting a stop to his work but at the same time cementing his position among the greatest directors that walked the Earth. 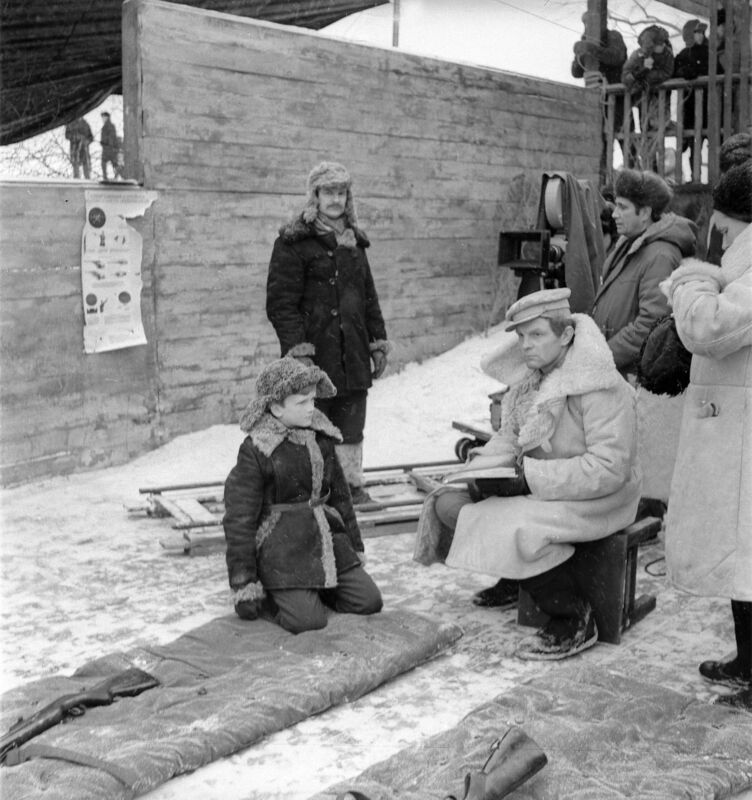 As he was bitter and disappointed with the Soviet Union’s efforts to prevent his films being made and receive international recognition, as they deemed his art to possess a certain anti-Soviet sentiment, he decided at the beginning of the 1980s never to return and work in his homeland again. He spent the final years of his life working in Italy, France and Sweden, separated from his son Andrei, Jr., who was allowed to leave the Soviet Union only after Tarkovsky succumbed to the overwhelming disease and was buried in Paris. 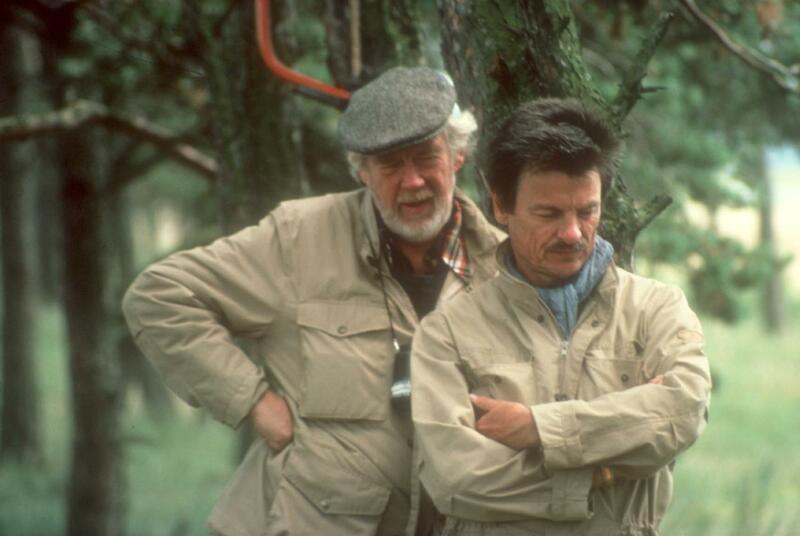 The Exile and Death of Andrei Tarkovsky is a 1987 documentary film made by a German filmmaker called Ebbo Demant. 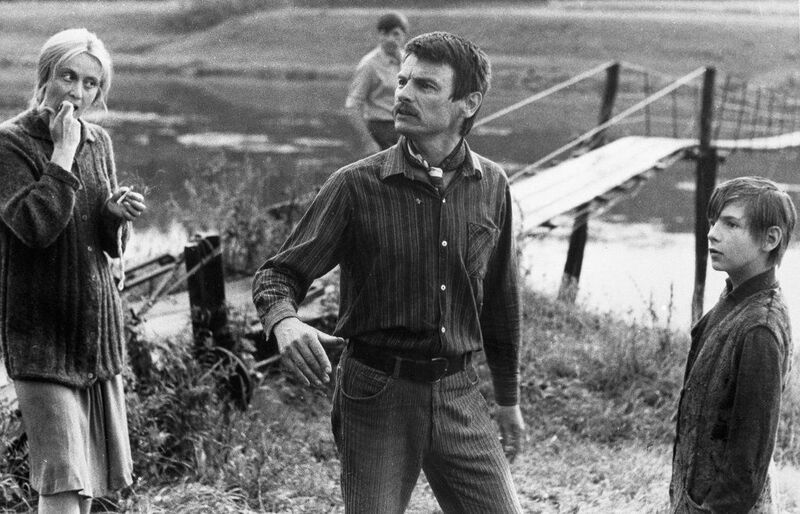 The full title in German, as far as our elementary skills in the language can decipher, would be In Search of Lost Time: The Exile and Death of Andrei Tarkovsky. 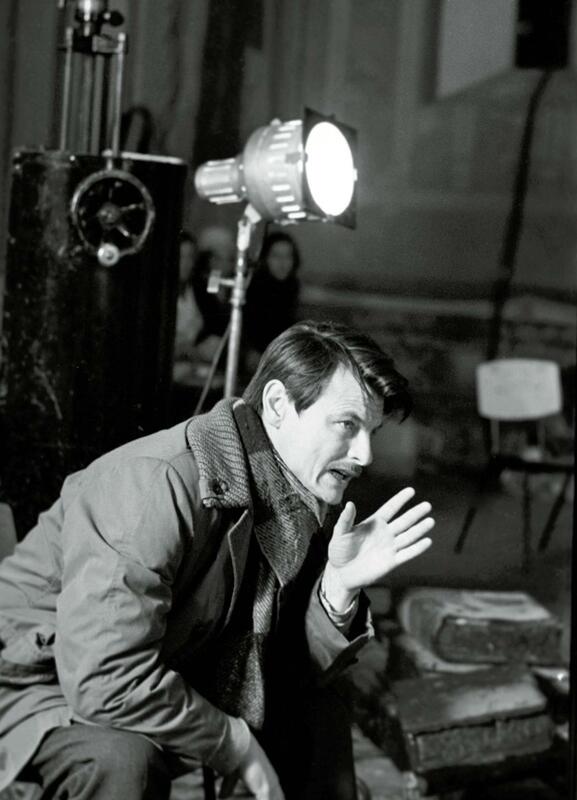 The film depicts and explores the final years of Tarkovsky’s life: the years he spent in exile across Western Europe, as well as his death in 1986. More precisely, Demant’s film investigates to what degree the themes of Tarkovsky’s final films, Italy-based Nostalghia and Sweden-based The Sacrifice reflect the filmmaker’s own final chapter of his incredible journey. 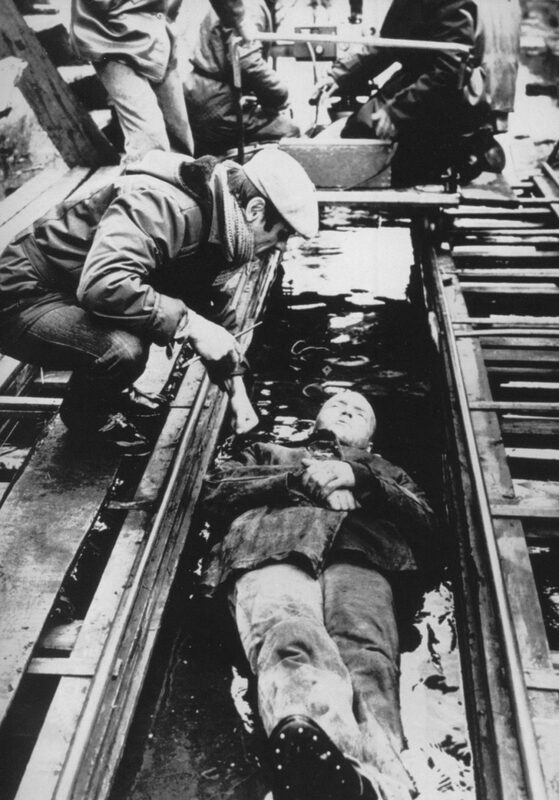 The film abounds in priceless observations and deep insight into the personality of the Russian film colossus, in details and footage any fan of cinema or Tarkovsky should be interested in, if not captivated by. 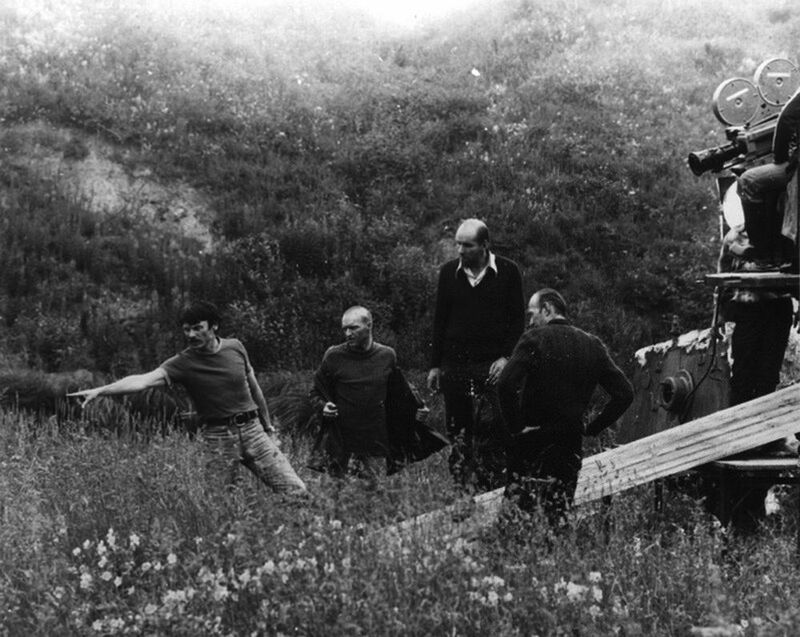 For example, the footage of the controversial Cannes Film Festival award ceremony, where Tarkovsky was prevented from receiving the Palme d’Or by heavy Soviet interference. Ebbo Demant’s film is a very useful and powerful addition to the body of work on one of the greatest poets cinema has ever known, and as such is definitely worth your time. 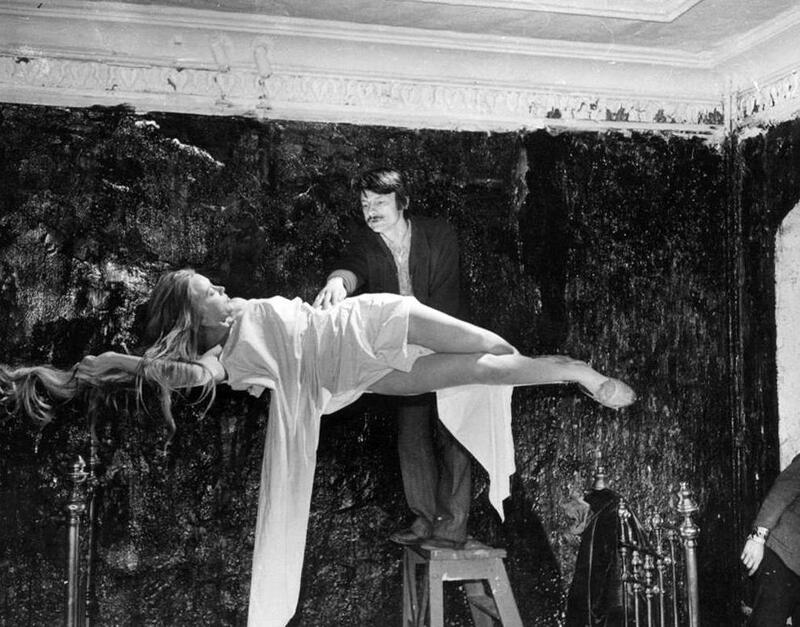 Thanks to Charles M, a fantastic YouTube account dedicated to Andrei Tarkovsky related materials. The following is the text of an interview with Maria Ghugunova for To the Screen, 12 December 1966. What do you consider most important in cinema today? The truth. When an artist abandons his search for the truth it is going to have a disastrous effect on his work. The artist’s aim is truth. Have you read Rossellini’s article in Komsomolskaya Pravda? It’s about the crisis in the cinema. Very alarming. And I entirely agree with him, Rossellini is frightened by the fact that cinema today is orientated totally towards entertainment. What are your own guiding aesthetic principles? Above all I try to achieve maximum truthfulness in all that happens on screen, in terms of the photography. For me that means being as close as possible to life. When we started work on the film I felt we were overdoing it, but now it seems to me that we failed to achieve that degree of precision. Cinema must record life with life’s own means, it must operate with the images of actual reality. I never construct a shot, and I always maintain that cinema can only exist by being totally identified with the images of life itself. That is what makes it different from other art forms, that is how it affects the audience. If you start to sketch shots, to compose them intellectually, it will mean adulterating the principles of art. But in Ivan’s Childhood? you have constructed shots. Yes, of course. But Ivan’s Childhood is a typical VGIK work of the kind that get dreamt up in halls of residence. How important is editing in your last film? What place does it have generally in contemporary film? Rublyov is shot in very long takes, to avoid any feeling of artificial, special rhythm, in order that the rhythm should be that of life itself. In fact you can have any kind of editing: short, long, fast, slow. The length of a shot has nothing to do with being modern or not modern. In film, as in any other art form, it is a way of selecting in order to express a particular idea. Basically, editing is the way you organize the rhythm of a film. And the length of a take depends on what has to be shown: it’ll be short for a detail and long for a panorama. Eisenstein used editing to create the battle on the frozen Chudskoe lake. He juxtaposes short takes very dynamically, but the rhythm of the editing is at odds with the inner rhythm of the scene as it has been shot. It’s rather like pouring out the Niagara Falls by the tumblerful. Instead of Niagara you get a puddle. What is your view of colour? For the moment I don’t think colour film is anything more than a commercial gimmick. I don’t know a single film that uses colour well. In any colour film the graphics impinge on one’s perception of the events. In everyday life we seldom pay any special attention to colour. When we watch something going on we don’t notice colour. A black-and-white film immediately creates the impression that your attention is concentrated on what is most important. On the screen colour imposes itself on you, whereas in real life that only happens at odd moments, so it’s not right for the audience to be constantly aware of colour. Isolated details can be in colour if that is what corresponds to the state of the character on the screen. In real life the line that separates unawareness of colour from the moment when you start to notice it is quite imperceptible. Our unbroken, evenly paced flow of attention will suddenly be concentrated on some specific detail. A similar effect is achieved in a film when coloured shots are inserted into black-and-white. Colour film as a concept uses the aesthetic principles of painting, or colour photography. As soon as you have a coloured picture in the frame it becomes a moving painting. It’s all too beautiful, and unlike life. What you see in cinema is a coloured, painted plane, a composition on a plane. In a black-and-white film there is no feeling of something extraneous going on, the audience can watch the film without being distracted from the action by colour. From the moment it was born, cinema has been developing not according to its vocation but according to purely commercial ideas. That started when they began making endless film versions of classics. The Red Desert is the worst of his films after The Cry (II Grido). The colour is pretentious, quite unlike Antonioni usually, and the editing is subservient to the idea of colour. It could have been a superb film, tremendously powerful, if only it had been in black-and-white. If The Red Desert had been in black-and-white, Antonioni wouldn’t have got high on pictorial aesthetics, he wouldn’t have been so concerned with the pictorial side of the film, he wouldn’t have shot those beautiful landscapes, or Monica Vitti’s red hair against the mists. He would have been concentrating on the action instead of making pretty pictures. In my view the colour has killed the feeling of truth. If you compare The Red Desert with The Night (La Notte) or The Eclipse (L’Eclisse) it’s obvious how much less good it is. What about colour in your film? We only used it for Rublyov’s paintings. What would you say about the transition from black-and-white to colour? I think it’s well done, it’s not too obvious. Just now you mentioned film versions of the classics. You’re very fond of Dostoievsky, and have written about him a lot. Would you like to make a film of any of the novels? Yes, I should like to make a film of ‘Crime and Punishment,’ and of ‘The Possessed.’ But I wouldn’t touch ‘The Brothers Karamazov.’ The novel achieves its effect through a mass of detail, and a confused, cumbersome composition. What do you think, have there ever been any successful screen versions of Dostoievsky? His Idiot is a wonderful film. Setting the film at the present time and on his own national soil makes a very interesting film version. It’s on quite a different principle, and actually very exciting. Imagine making Electra in a modern setting. If you were to screen Dostoievsky, would you give it a contemporary setting? No, I would definitely set it in its own period, but I would write a completely new screenplay. I would probably include in the action the things that Dostoievsky puts into his extraordinarily profound descriptions. They are almost the most important thing, they carry the weight of the whole idea of the book. Could you explain why everyone in this country is so keen on film versions of books? It’s because they have no ideas of their own. And of course it’s not easy to make a film with a modern plot. If you stand for the truth, then you have to speak the truth. And if you do that it’s not always going to please everyone. So directors turn to adaptations. The ideas are already there in the prose, and the plot has been constructed. What was the reason for the differences between the screenplay for Rublyov and the shooting-script? There were various reasons. In the first place the original version was not particularly good, in the second place it was too long, even in the director’s version, and therefore it had to be adapted while work was going on. 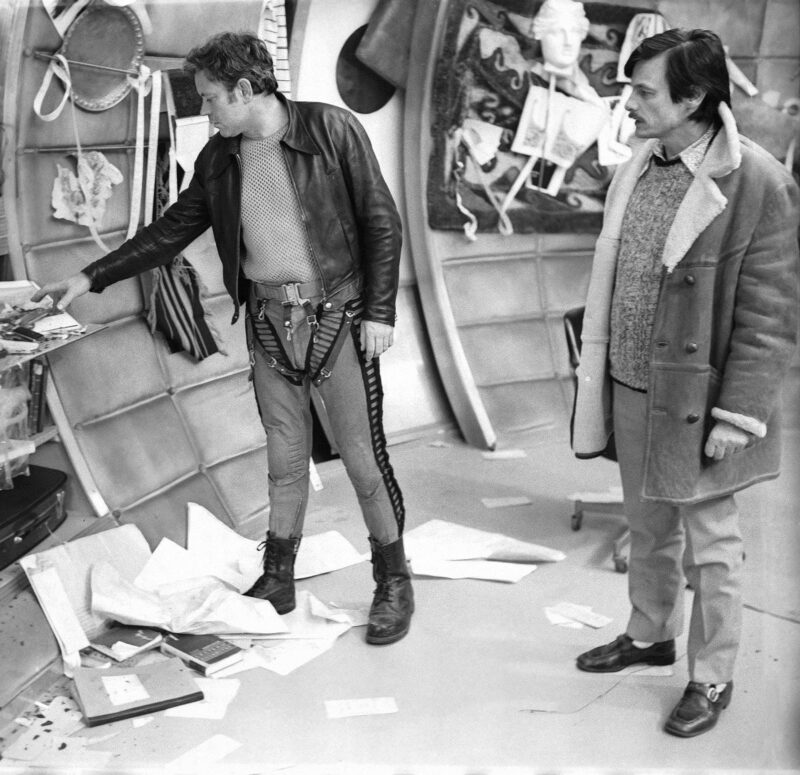 For instance the scene of the swan hunt, which was the first one I cut, was pretentious, it was too ‘ancient Russian,’ it had nothing to do with the central idea. Your film is said to be too cruel and depressing. I don’t find it so. I should say it was truthful. Anyhow I was trying to make it express what we feel about the age of Rublyov. Tell me about how you work with your actors. I don’t work with them. I believe Marcel Came or Rene Claire was once asked that same question, and he answered, ‘I don’t work with them, I pay them.’ In my view actors should not be told all about their function, or their meta-function, in a particular scene. As a rule what I explain to an actor is the state he has to be in, what he has to be perturbed by, or excited by. It is through a grasp of these basic factors that the actor arrives at a clear understanding of the form and the essence of his actions. There are some directors who actually show the actors what they have to do, they try to find the exact movements that are going to help them. If an actor doesn’t understand what I mean, then of course I might show him. But an actor has to be able to act, the only thing that ought to be explained to him is his own state of mind. Yes, indeed, within the framework of the required state of mind. But when an actor can’t find that state of mind, you have to be inventive; you sometimes have to think of devices of various kinds to help him. On the other hand, when you are driven to using such ingenuity it can only mean that the actor is not fully competent. I tremendously enjoyed working with Nikolay Grinko. He’s an amazingly gifted and natural actor. He understands everything immediately. There is no need to explain anything. What do you feel about the training at VGIK? People have to study, but really if you want to be a director you would do better to be in on the making of one long film. The best course is the advanced course in directing. It’s absurd to spend six years studying in the faculty of directing, you might as well spend twenty years there, when you take into account the fact that only twenty per cent of the total time is allowed for your speciality. You can’t teach a person the art of cinematography any more than you can teach him to be a poet. The profession as such can be taught in a couple of months. Piano-playing has to be taught by someone, whereas writing you can only learn yourself, by reading books. And of course you have to be taught how to be an actor, only they are not being taught the right things. They don’t know other languages, they can’t ride. Nor can they fence, or swim, or dive, or drive a car or a motor-cycle. Doubles have to be used for all those things. The actors can’t pronounce their words properly, they are not natural, but on the other hand they pass dozens of exams. What they need to be taught are things like hygiene and diet, and intense physical exercise. But all that has to be done professionally. VGIK ought to enlist the services of leading cineastes who know how to teach. In my view film actors should be taught by good film directors. Sergey Gerasimov is right to teach actors and directors together. At the moment a lot of people straight off the street are being taken on as actors. And quite rightly. They will have parts in films, and they will become real actors, because they know what they want. There are plenty of VGIK graduates who imagine they are fully-fledged actors or directors, when in fact VGIK is merely a place where you can get a good degree; the whole thing only starts after VGIK, when you leave. The main trouble with VGIK is that the professional is not interested in it. None of the studios know anything about people at VGIK. It’s vital to break down the wall that separates VGIK from film production, I think they ought to have a year’s practical, working on an entire production. A year of specialist study and then a year of practical, working on a full-length film. Or maybe the other way round: the practical year first and then the institute. The point is that VGIK can’t go on being divorced from production. When we first came into the studios in our fourth year, we felt as if we were in some dense forest. The rules there were different, we had to do things that we hadn’t been taught. On the other hand a studio can’t guarantee work for twenty people. And then—how should candidates be selected? I only realized what I wanted to do when I was in my fifth year; before that I hadn’t the slightest idea why I had come to VGIK. Only after working under Marlen Khutsiev did I begin to understand that this was something real, and important, and art. Earlier I had been working on screen adaptations, and working with actors, but without knowing any of the whys or wherefores. I wanted to become a director, and I imagined I knew why, but in fact I only really understood why very recently. First you have to be bitten by cinema, you have to ask yourself if you are going to be able to do something in cinema, and only then should you go and study. Lots of people who graduate from VGIK have a difficult time. We don’t have a satisfactory selection system, and so there is a tremendous amount of wastage. We remain oblivious of all the endless psychological tests that exist to establish what a person is likely to be good at. Surely there must be a way of finding out about somebody’s professional potential? Then, of course, nobody actually knows what it takes to be a director. That ought to be established. One is told that it is not possible to develop any system of that kind, but the fact is that nobody is giving it any thought. One way would be for the student to be apprenticed to a master, as they were in the old days. Apart from all that, how can anyone live on twenty-eight roubles a month? The students are quite simply unfit for work; it’s hardly surprising that no one will take them on. Engineers are needed all over the place, but directors are pretty well redundant. A director only becomes necessary when he has proved that he can do things better than other people. Then he’ll be an artist. All the rest are doomed to eke out an existence on the periphery of art, on the periphery of cinema. Once a person has been studying one thing for a year or two he hasn’t the courage to give it up and start doing something else. There ought to be quite a different form of training. They ought to see more films. The whole ‘new wave’ was a result of film critics sitting in cinemas and watching quantities of films. It’s important to see the work of the great masters, and know it well, in order not to start inventing the bicycle. There aren’t so many of them, perhaps five; Dovzhenko, Bunuel, Bergman, Antonioni, Dreyer, and one or two others. And then there’s no time at VGIK to read. All you have time for is getting through the reading for the seminars. You don’t read beyond certain works, or even just extracts, on specific themes. That’s very bad. A person can only really assimilate what he reads when it has time to become a part of him. If they were to read more at the institute, and watch more films, they wouldn’t then start inventing things that have been invented long ago. I have a great many plans. It’s hard to say anything definite. I hope to be working again in the spring. I may make a film of ‘The House with a Tower,’ based on Friedrich Gorenstein’s short story. 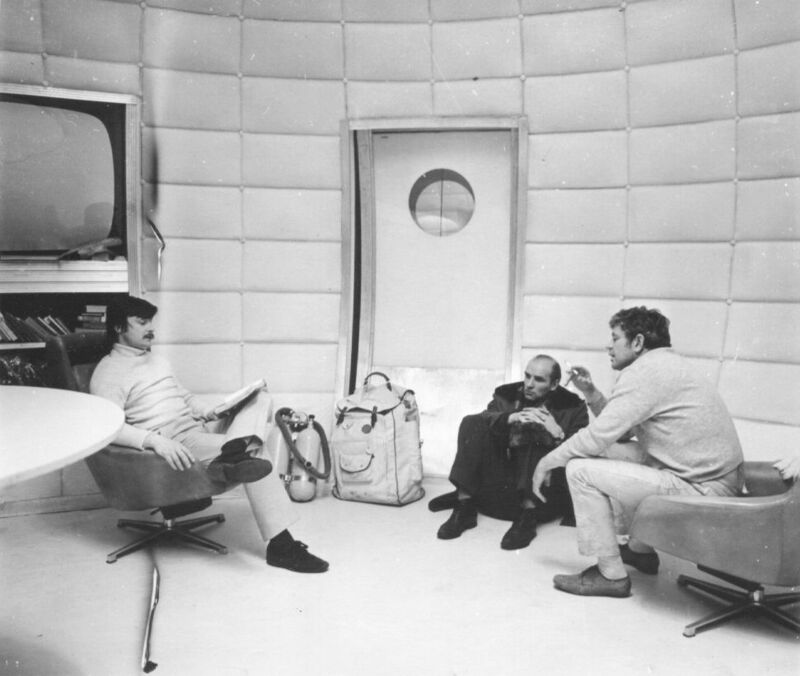 The following is the text of a discussion Tarkovsky had with Z. Podguzhets in 1973, on Solaris and other films. Why, in a film which could be categorized as science fiction, are you more concerned with the drama of the hero’s conscience than with the dramatic situation in the space station? When I read Lem’s novel, what struck me above all were the moral problems evident in the relationship between Kelvin and his conscience, as manifested in the form of Khari. In fact if I understood, and greatly admired, the second half of the novel—the technology, the atmosphere of the space station, the scientific questions—it was entirely because of that situation, which seems to me to be fundamental to the work. Inner, hidden, human problems, moral problems, always engage me far more than any questions of technology; and in any case technology, and how it develops, invariably relates to moral issues, in the end that is what it rests upon. My prime sources are always the real state of the human soul, and the conflicts that are expressed in spiritual problems. And so I paid more attention to that side of things in my film, even though I did so unconsciously. It was an organic process of selection. I didn’t erase the rest, but it somehow became more muted than the things that interested me most. What is the central idea of your film? What is central is the inner problem, which preoccupied me and which coloured the whole production in a very specific way: namely the fact that in the course of its development humanity is constantly struggling between spiritual, moral entropy, the dissipation of ethical principles, on the one hand, and on the other—the aspiration towards a moral ideal. The endless inner struggle of man, who wants to be freed from all moral restraint, but at the same time seeks a meaning for his own movement, in the form of an ideal—that is the dichotomy that constantly produces intense inner conflict in the life of the individual and of society. And it seems to me that the conflict, and the fraught, urgent search for a spiritual ideal, will continue until humanity has freed itself sufficiently to concern itself only with the spiritual. As soon as that happens a new stage will begin in the development of the human soul, when man will be directed into his inner being as intensely, deeply, passionately, limitlessly, as he has directed his efforts up till now to his search for inner freedom. And Lem’s novel, in my own specific understanding of it, expresses precisely man’s inability to concentrate on himself, and points to the conflict between man’s spiritual life and the objective acquisition of knowledge. It’s a conflict that will never give man any peace until he has achieved complete outward freedom. We might call this freedom social, the freedom of the social individual who is not concerned with bread, food, a roof, or his children’s future. Mankind does not move forward synchronously, it stops and starts and goes off in different directions. And only when scientific discoveries occur in the course of technological development is there a corresponding leap in man’s moral development. There is an extraordinary cohesion between the two. That was the problem which exercised me all the time I was working on the film. In simple terms, the story of Khari’s relationship with Kelvin is the story of the relationship between man and his own conscience. It’s about man’s concern with his own spirit, when he has no possibility of doing anything about it, when he is constantly drawn into the exploration and development of technology. And what is the outcome of the conflict between Kelvin and his conscience? In one way Kelvin is the loser, beause he tries to relive his life without repeating the mistake he made on earth. He attempts to replay the same situation, because he has a conscience, because he feels guilty of a crime, and he tries to change himself in relation to Khari. But it doesn’t work. Their relationship ends as it did on earth, the second Khari commits suicide. But if he had been able to live this stage of his life differently, he would not have been guilty the first time, either. And he realizes the reason for his inability to live this second life with Khari. He realizes it is not possible. If it were, then it would be possible to press the button of this microphone that is recording our conversation, replay the tape, wipe off all that has been recorded, and start off afresh. And then concepts like spiritual life, conscience, morality would have no meaning. Does that mean that the film ends on a note of pessimism? The film ends with what is most precious for a person, and at the same time the simplest thing of all, and the most available to everybody: ordinary human relationships, which are the starting-point of man’s endless journey. After all, that journey began for the sake of preserving intact, and protecting, feelings which every person experiences: love of your own earth, love of those close to you, of those who brought you into the world, love of your past, of what has always been, and still is, dear to you. The fact that the ocean brought forth out of its depths the very thing that was most important to him—his dream of returning to the earth—that is, the idea of contact. Contact in the sense of ‘humane’, in the sense of ‘doing good.’ For me the finale is Kelvin’s return to the cradle, to his source, which cannot ever be forgotten. And it is all the more important because he had travelled so far along the road of technological progress, in the process of acquiring knowledge. Do you think Lem is going to be pleased with your film? I should not want to prepare Lem particularly for the film. He is a person for whose opinion I have a great respect, I admire his talent and his intellect. I am very fond of the film, and extremely grateful to Lem for allowing me to make it. However Lem feels about the film, I don’t think he will have any call to be angry or offended by its being badly done, or insincere, or unprofessional. As far as all that goes, I don’t feel he is going to be disappointed. I’m sure he will like Khari. You took your film to Cannes. What did you think about the other films that were shown there? I was astonished by how low the standard was. I don’t understand. On the one hand everything I saw was highly professional, on the other it was all utterly commercial. For example, they would treat a subject that was bound to be of concern to everybody: the problem of the working-class movement, or the relationship between the working-class and other sections of the population. And all of it was done with such an eye to the audience, with such a desire to please. One really had the impression that all the films had been edited by one and the same person. But in film the most important thing of all is to be aware of the inner rhythm. So what can only be individual had become commonplace, hackneyed. It is extraordinary. Even Fellini’s film about Rome, the most interesting film of all—it was shown outside the festival proper—is a sort of game of give-away played with the audience, the editorial rhythm is so slick that one feels offended on behalf of Fellini. 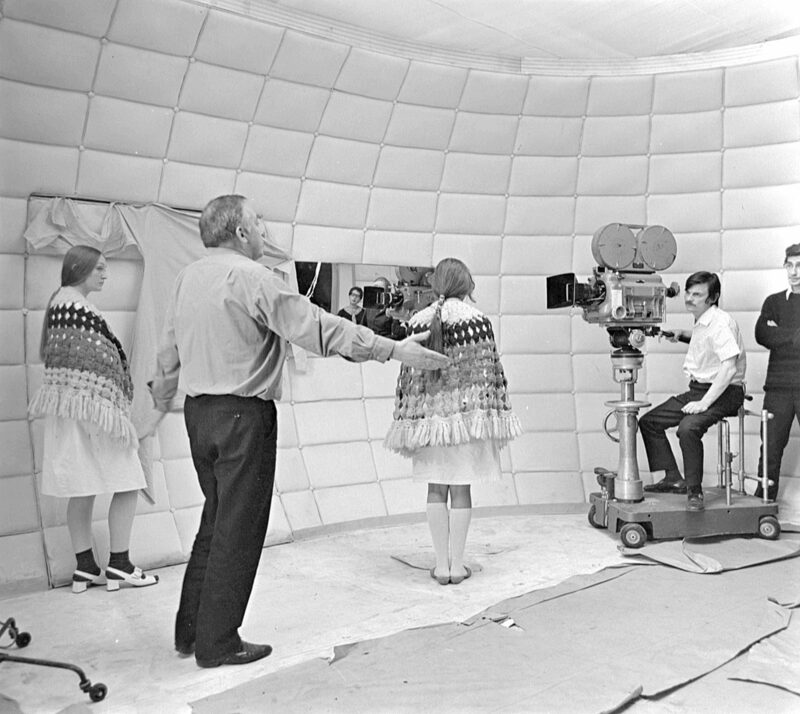 I remember pictures of his where the shots, the length of the shots, and their rhythm, were tied to the inner state of the character and the author. But this picture has been made with an eye for what is going to please the audience. I find that repugnant. Anyhow, the film tells us nothing new either about Fellini himself or about life. What didyou think of Polanski’s Macbeth? I didn’t like it. It’s very shallow, very superficial. It completely ignores the moral problem of conscience of the man who is paying for the evil he has committed. I am staggered that anyone can put on Shakespeare and completely bypass the spiritual issues. It is a major failure on Polanski’s part. His serious intentions only show in his urge to be naturalistic. The film is so detailed that it ceases to be realistic. The director’s aim becomes obvious, and as such, merely a means of achieving an effect. And once the audience can read that so clearly, the aim ceases to be one with the weave of the film and becomes just a patently obvious aim. It’s not easy to talk about them, I am always rather frightened of doing so. If you talk too much then nothing happens. But anyhow, I have a screenplay all ready. I want to start filming in the autumn. It will be an autobiographical film, about my childhood. It will look at the same events from two sides: the point of view of the older generation and my own. I think that the use of that parallel could create an interesting way of seeing things, an interesting angle, and the intersection will lend a curious colouring to events that are familiar to everyone in the course of their lives. I am very excited by the screenplay. I am very anxious to make the film, because I am afraid that if any length of time goes by without making it, I shall never go back to the same theme. I thought about the screenplay for so long before I wrote it, and I have given so much thought to the production. And if time passes I am afraid that the idea of the film will live itself out. What about the film about Dostoievsky that you told me about last year? I haven’t given up the idea of a film on Dostoievsky, I intend to do it. But it will take considerable time. Not so much the making of the film, as the writing of the screenplay. I haven’t even touched it yet. I am still collecting material, and reading. I shall start actually working on it later.